Mansaf is a national dish of Jordan. This traditional lamb casserole is served at celebration such as wedding banquet, graduation party, etc and holiday festive like Eid El-Fitr (or what we called Idul Fitri in Indonesia) feast. The dish is cooked in monstrous portion to serve big crowds. I did scale down the recipe as the crowds are only three people here 🙂 Well, let me rewrite it: two adults who can really eat and another one is considered 1/4 of people for now (14-month old toddler). 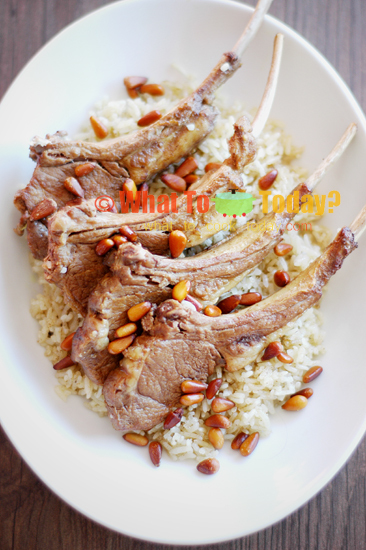 The lamb is slowly cooked along with spices for 3 hours and the broth from cooking the lamb is used to cook the rice. 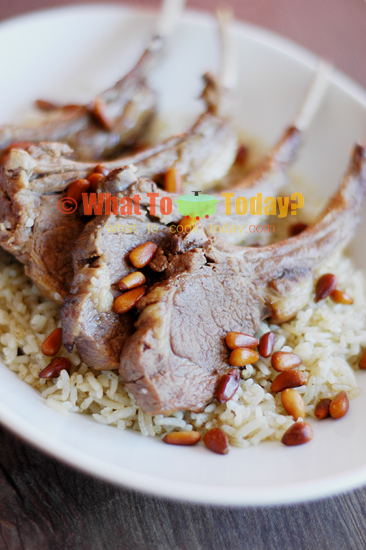 The dish is usually topped with pine nuts and almonds. The meat literally fell off the bones from the long slow cooking. I’ve learned to like pine nuts a lot ever since I cooked the Middle Eastern dish. I like how buttery they taste and such great toppings on Mansaf. Mansaf is also traditionally accompanied by warm yogurt. 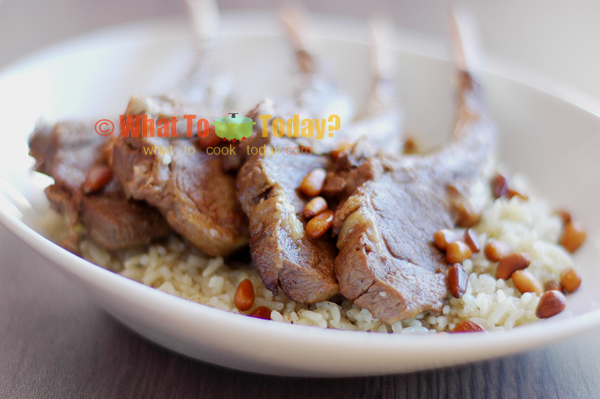 I’m gonna bookmark this recipe as I need another way to cook my lamb beside making rendang, gulai and grill. Thank you! Thanks for stopping by again. It’s one of my favorite dishes. Hope you like it if you do give it a try. Don’t u use a lamb chop instead of the shank for the recipes presentation a bove ?